William Blackburn was born Abt. 1748 in Middlesex, County, Virginia, and died October 07, 1780 in Kings Mountain, North Carolina during the Battle of Kings Mountain during the Revolutionary War. He married Elizabeth Black Abt. 1767 in Washington County, Virginia, daughter of John Black and Elizabeth Colville. She was born December 12, 1747 in Frederic City, Virginia, and died December 29, 1827 in Edgar, Illinois. During the Revolutionary War, William Blackburn served as a lieutenant in Colonel William Campbell's Virginia Regiment. 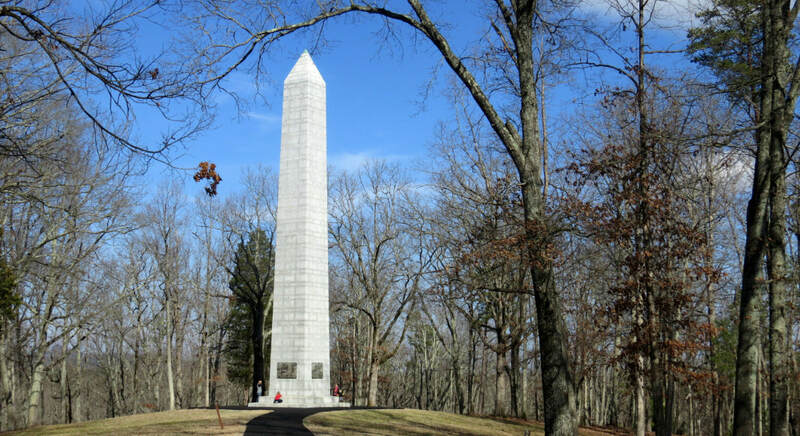 Colonel Campbell's regiments became involved in the Battle of Kings Mountain which was fought on October 7, 1780 9 miles south of present-day Kings Mountain, South Carolina which is now rural Cherokee County, South Carolina. The Patriot militia defeated the Loyalist militia who was commanded by British Commander Patrick Ferguson. The battle has been described as "the war's largest all-American fight" and was the beginning of the end of British rule. i. Sarah Blackburn, b. 1779, Virginia; d. 1861, Tennessee; m. Charles Evans. 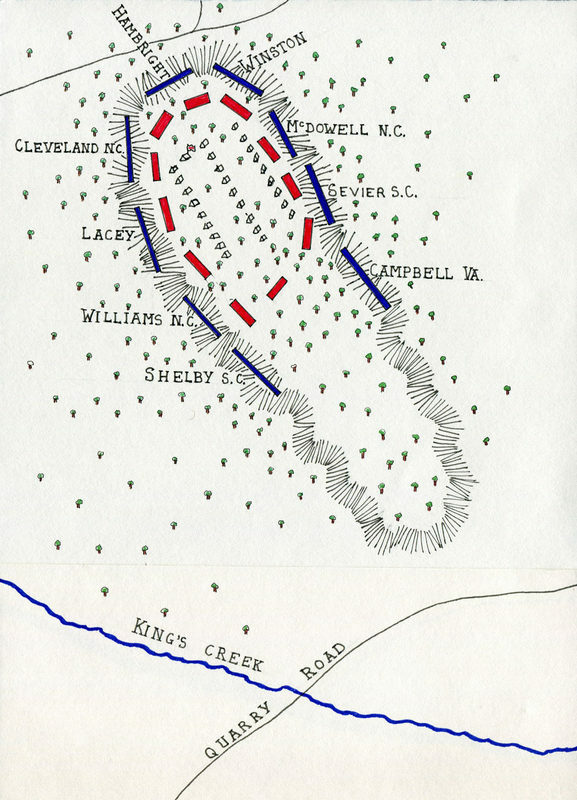 Map of the Battle of Kings Mountain. William's regiment was located where it says Campbell, VA.